If you’re searching for a metal roof coating provider in the Brandon, Florida, area, look to Elite Roofing Services. 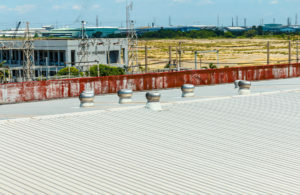 We’ve been providing energy-efficient roof coatings and comprehensive commercial roofing services in the area for more than 20 years, and our client list has included Hillsborough County, Tampa International Airport, the Port of Tampa, and many more. We offer cool roof products from some of the top manufacturers in the industry to give our clients a wide variety to choose from. The manufacturers we utilize include Karnak Coatings, HydroStop, GAF, Carlisle SynTec Systems, GACO Western, Quest Coatings, and more. If you would like to learn more about the potential advantages a metal roof coating can provide for your building in the Brandon, FL, area, contact Elite Roofing Services today. Be sure to ask about the preventative roof maintenance programs we offer, which are designed to keep your roof in optimal condition at all times.